I have told many times about the importance of keywords. Someone ranks easily and someone can not do that. Why you may not know? Keywords play a prominent role to rank better in search engines. In my previous article, I have told about long tail keywords and short keywords. Here I want to say about LSI keywords. How to find LSI keywords for your article. You know the importance of focus keywords and LSI keywords are also important that will help you along with your focus keywords. You must use LSI keywords in your article this day. Because the SEO has changed and in modern SEO you have to depend on many things to do better. So you should be more careful and more clever when you do SEO. Using LSI keywords is an effective technique of SEO that improves your search engines ranking. These keywords are really powerful. So you need to know how to find LSI keywords? How to Rank on Google First Page without Backlinks! Many bloggers don’t use LSI keywords on their posts because they don’t know how to find LSI keywords. They will not do as good as like those who use LSI keywords. Search engines such as google like those posts which contain LSI keywords. Google likes spam free articles, the unhealthy practice of focus keywords suspect as spamming. But when you use LSI keywords with your focus keywords, you will be spam free. I have told many things about LSI keywords. Now I want to say what it is? LSI keywords are for Latent Semantic Indexing keywords. These keywords are related to your focus or main keywords. This can be sometimes synonyms, substitutions, related words, related keywords or keywords with the same meaning. Such as, you want to write a post about Windows. Then Windows 7, Windows 8, Windows 10, Microsoft can be your LSI keywords which differentiate your post from other non-related keywords. There are different ways to find your best LSI keywords. Here I share some the most popular and proper ways to find LSI keywords. You can find the most appropriate keywords through some LSI keywords finder and the free LSI keywords generator. We mainly depend on google for most of our online activities. Google has been serving us for many years. We can do almost everything using google products. Here also google can be your first choice. Using google search you can easily find your desired LSI keywords. It is the most common and easiest way to find keywords. When you search something in google entering any keywords, google will give you a list other related words or phrases. These are nothing but LSI Keywords. For example, When you search for technology in google, it will show you other related words that are your LSI keywords. It is also really an easy way to find LSI keywords. When you search using main keywords then at the end of the first page you will see some words or phrases related to your main or focus keywords. All these are LSI keywords for your main keywords. Such as your focus keyword is Technology. When you search entering Technology, you will see the search related LSI keywords just like below. Google keyword planner is the best and most popular keywords research tools both for focus keywords and LSI keywords. It is totally free and most of the experts use this tools. When you enter your main keywords to see the details. Then you will see hundreds of related keywords which your can use as LSI keywords. Such as Search Engine Optimization are my main keywords. When you enter using these main keywords, you will see hundreds of related keywords in Keywords ideas. All these are LSI keywords. Soovle is one of the best and most popular tools that find your desired LSI keywords. It is my favorite tools. This tools mostly use by SEO experts, online marketers, webmasters, and bloggers. It is really smart and fastest tools. It analyzes and displays results from Google. Yahoo, Amazon, Bing, Youtube, Answer.com, and Wikipedia. You need not any time just enter your focus keyword and get thousand of LSI keywords within a second. LSIGraph is also an excellent free LSI keywords research tool. Here you will get a lot of related keywords that can be used as LSI keywords. Just enter your desired keyword in the search bar then clear a captcha and click on GENERATE. Keyword Shitter is another good tool for generating LSI keywords. Just eneter your focus keyword then it will display you thousand of related LSI Keywords. There are also negative filter and positrive filter options to filter your keywords. When I enter SEO as my main keyword. Then I will get the below results. There are some other excellent tools to find perfect LSI keywords for your article. You can also use these tools. 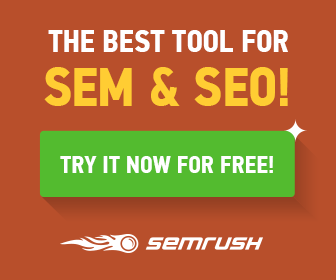 Such as: SEMRush, Mondovo, KeywordTool.io. These are paid tools but has also free version. I hope now you know how to find LSi keywords? We write articles so that we will get enough visitors and rank in search engines. When we will able to rank in search engines, we get enough oganic traffic. Using LSI keywords we can do our best that help our focus keywords to rank better. So you must know hoe to find LSi keywords?